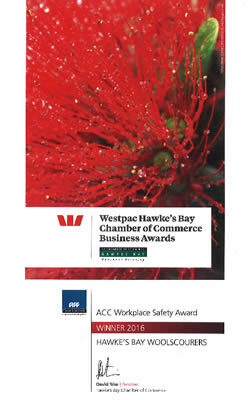 Hawkes Bay Woolscourers won the Health and Safety award at the Westpac Hawkes Bay Chamber of Commerce 2016 Business Awards. The judges visited the Awatoto site and inspected Health and Safety processes, observing the business in its day to day operation. A comment from the judging panel supported the successful implementation of a safety management program with a genuine theme of constant improvement. 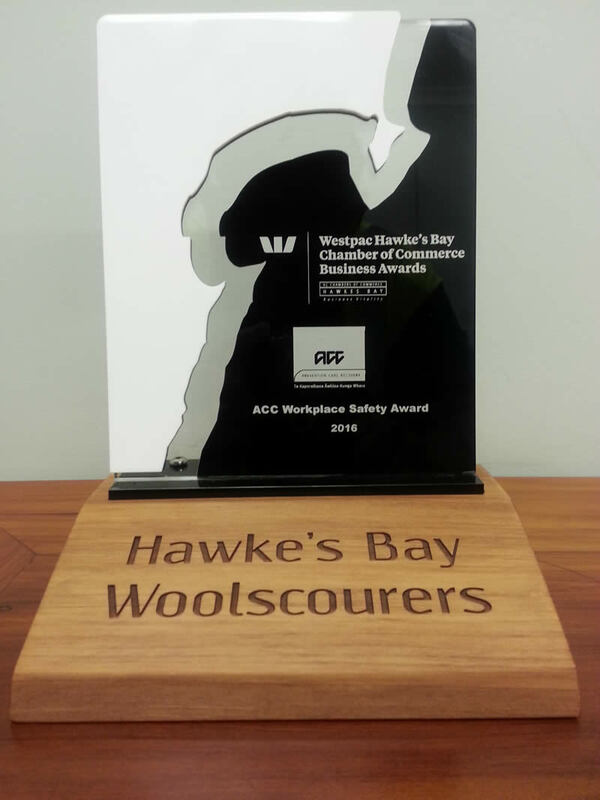 As the plant and machinery at Hawkes Bay Woolscourers’ site are both complex and hazardous, with the necessity for rigorous systems, Management, Engineering and the Health and Safety Committee have worked closely together to improve Health and Safety on site and appreciate that the judging panel have recognized this in their presentation of the award. Copyright © 2019 Hazard Management Systems Ltd. All Rights Reserved.